Though it caught the imagination of the youth all over, the Naxalbari uprising did not bloom into a movement powerful enough to shape the national destiny. The State eventually crushed it. But the impact it had on the aesthetic as well as popular imagination about politics, resistance and liberation was long-lasting. Its trace still haunts film narratives, assuming several overt forms, undercurrents and heroic avatars. For artists like Ghatak, the Naxalite moment was an agonising experience that triggered painful interrogations within and without. Made at the fag-end of his career and life, this film unravels an intellect, mind and soul torn asunder bet­ween spontaneous admiration for the courage and determination of the young revolutionaries fighting a corrupt system head-on, and a deep circumspection about their methods, vision and destiny. 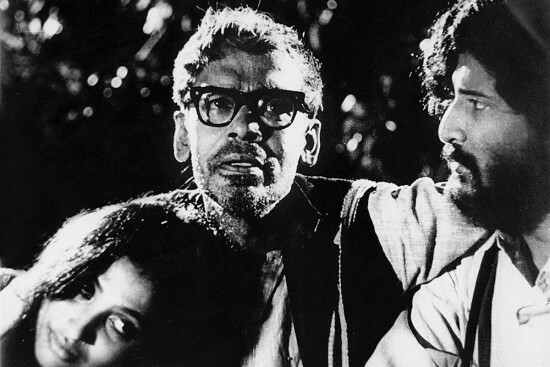 Ghatak’s ambivalence, in a way, sums up Indian cinema’s long and continuing romance with Naxalism. In the following decades, even after it had lost such immediacy and poignancy, films, both from the art and commercial variety, revisited the rebellious period and the inflammatory theme time and again. Govind Nihalani’s Hazar Chaurasi ki Ma (Mother of 1084 /1998), Gaganvihari Boratte’s Laal Salaam (2002), Sudhir Mishra’s Hazaaron Khwaishein Aisi (2005), Prakash Jha’s Chakravyuh (2012), for instance. From the beginning, Naxalite narratives in cinema—the reasoning, argumentation, also the stories—were imagined and elaborated from the point of view of the middle class. The role and agency of the underclass, the adivasis or Dalits, if at all they appeared in any significant roles, were very limited or incidental; they always represented the outer, physical conflicts, manning the points of real confrontations and encounters, while the ideological conflicts and existential tensions were that of the middle class. Beneath the surface, they were more about the educated, unemployed, often urban, male hero—the idealist, angry young man, caught between idealism and careerism, dreams of liberation and practicalities of life, dharma and kama. The underlying conflicts and ambivalence were about ‘the right way’, trembling with doubts about violence as the means for liberation, nagged by fear about violence turning into an end in itself. In Mrinal Sen’s Calcutta trilogy and P.A. 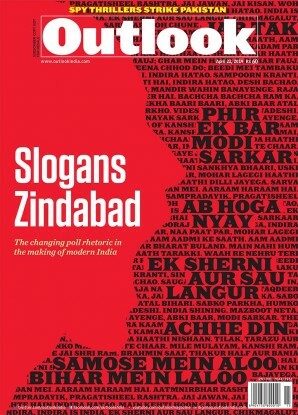 Backer’s films, one can see the already ‘gathered storm’ in the form of the all-too-real conflicts of the time, the fuming urban unrest, the adivasi uprising ‘out there’, the growing disenchantment with the Nehruvian nat­ionalist project. Soon, all these discontents culminated in the Emergency, with the State revealing its viswaroopam. One could see apprehensions about the means and self-doubt constantly surfacing in all these films: in Padatik, it manifests in the gradual disillusionment of the revolutionary hero who breaks away from party line, trying to articulate his ideological differences. Interestingly, the film ends on an affirmative note with the son reconnecting with his aging, idealist father, who, this time, urges him to continue the fight. The Naxalites ends with a passionate appeal from the gallows by the woman-revolutionary (played by Smita Patil and evocatively named ‘Ajita’); she pleads with the leadership to re-examine the party line. In Buddhadev Dasgupta’s Dooratwa and Andhi Gali, the movement has already been relegated to the past. Their protagonists have either abandoned or run away from it, though it continues to haunt their present. In Hazaar Chaurasi ki Maa, for Sujata, the mother (Jaya Bachchan) who probes into the life of her martyred son who was part of the Naxalite movement, it is a journey of revelation and self-discovery. As she digs deeper into his life, she seems to reclaim her own life, realising its vacuity and opp­ressiveness. In Prakash Jha’s Chakravyuh too, the hunt for extremists turns into a journey of revelation; the infiltrator, who sneaks into the enemy camp, gradually turns into a sympathiser after experiencing life from the other side. Malayalam is one cinema in India where the Communist idea and ideals have persisted through decades. In the last five decades, films directly or indirectly reflected the rise and fall, the hopes and despair the movement gave rise to, first as a liberatory idea and political ideology, then as a popular movement and finally as a parliamentary party. The Cold War, the fall of the Berlin Wall, the rise of Gorbachev, glasnost—all created ripples in Malayalam film narratives, in which the Naxalite movement appears as a defining moment. P.A. Backer’s Kabani Nadi Chuvannappol (When River Kabani turned Red) was the first film to deal with the subject in a direct manner; daringly produced and released during the Emergency, it portrayed the travails of a revolutionary in hiding, who is finally hunted down and shot dead. Backer rev­isited the theme in Sanghaganam (The Chorus/1979) where the revolutionary comrade fighting for a classless society is idealised as the true human being. Adoor Gopalakrishnan’s Mukhamukham (Face to Face/1984) is about an idealist Communist leader who, at the peak of the movement, disappears suddenly. When he returns after a lapse of time, the vibrant movement he was part of had congealed into a party hankering for power. The man who has returned is passive, always in a stupor. Upon his return, there is a tense encounter between the movement’s two streams or legacies: where a youngster who was inspired by him and is now an extremist looks up to the erstwhile comrade in vain. Another poignant film that looks at the legacy of extremist politics in Kerala is John Abraham’s Amma Ariyan (Report to Mother/1985). It begins with the protagonist accidentally coming across the body of a man who had committed suicide, a young tabla player and fellow-traveller of the extremist movement. Feeling compelled to inform his mother about it, he embarks on a journey that turns into a virtual excavation through the ruins of a political movement, one that has left its scars on everyone who was part of it; some are insane, many committed suicide while some moved on to other forms of survival—art, activism, or alcoholism. Popular films like Bharathan’s Ithiripoove Chuvannapoove (1984), Hariharan’s Panchagni (1986) and Aranyakam (1988), and Renjith’s Gulmohar (2008) dramatised the encounter between idealist-extremist politics and a corrupt power structure, often idolising the Naxalite hero as a romantic crusader fighting the system. Films like Shaji N. Karun’s Piravi (The Birth/1989), M.P. Sukumaran Nair’s Aparahnam (1991), Rajiv Vijayaraghavan’s Margam (The Path/2003) and Madhupal’s Thalapavu (Headgear/2008) agonise over the dreams the movement kindled and the havoc it wreaked on individual lives, families, delving into the traumatic experiences of torture, betrayal, death and absence, often followed by an afterlife of remorse and guilt. While Piravi is a heart-wrenching account of an octogenarian father’s futile wait for his missing son (who was arrested from the campus and tortured to death), Margam, which could be described as a ‘post-Gorbachev film’ , is about a living martyr of Naxalite politics who is haunted by history, by a radical past he is not able to live up to. Priyanandan’s Neythukaran (The Weaver/2001) is a nostalgic yet acerbic narrative about the current predicament of the Communist movement in Kerala. Told through the reminiscences and experiences of an old man on the verge of death, a party cadre throughout his life, it’s a trenchant critique of the degeneration the movement is mired in. All around the dying comrade are erstwhile revolutionaries floating and flirting with the tide of things, engrossed with themselves; change or emancipation is beyond them. His son-in-law, who once flirted with extremism, represents the present—he is now a cynic and an opportunist to the core. The Naxalite moment in Indian political history provides Indian cinema with a poignant counterpoint—more imagined than real—that could be posed against a degenerate, hopeless present. This dramatic interface enables these films to pose disturbing questions about justice, rebellion, violence and liberation at the individual and social level, and dilemmas about means and goals, idealism and opportunism, sacrifice and ‘success’, and most importantly, accountability and responsibility to oneself, others and the world. Kabani Nadi Chuvannappol was the first film to deal with the ­subject in a ­direct manner, daringly ­released ­during the Emergency. Revolution devours its own children, they say. It seems failed revolutions devour their fathers too. For, without the glorious aura of victory to cover up the tracks and to bestow the halo of martyrdom upon those who lost their lives, what remains is disavowed blood, wasted sweat and unmourned tears—forgotten, hidden or made redundant by a ruthless present. As time rolls by, the unf­linching light of the “Now” bleaches out the past. Retrospectively, the heroes of yore appear to have had no clue about the dynamics of history; the living and the dead martyrs seem to have squandered their lives on hazy dreams. At 18, K. Ajitha trekked Kerala forests as a Naxal. Today, she is an active feminist. A close-knit constellation of Maoists, resisting an imperialist state, will make the New Democratic Revolution a reality. Naxalbari guides them like a lodestar.